A Mill Basin woman was injured last night after she said her vehicle was struck by an unknown car as she was traveling on Mill Avenue near Strickland Avenue in Mill Basin, causing her to go out of control and strike a parked SUV. Police from the 63rd Precinct found the woman, in her 50’s with facial injuries, standing outside her 2017 Cadillac after it struck a parked Mercedes Benz SUV next to Lindower Park, forcing the Mercedes into a tree. The impact caused the fuel tank of the Mercedes Benz to rupture and spill gasoline into the street. Flatlands Volunteer Ambulance crews treated the woman, who asked not to be identified, for facial injuries, but the injuries were not considered serious. 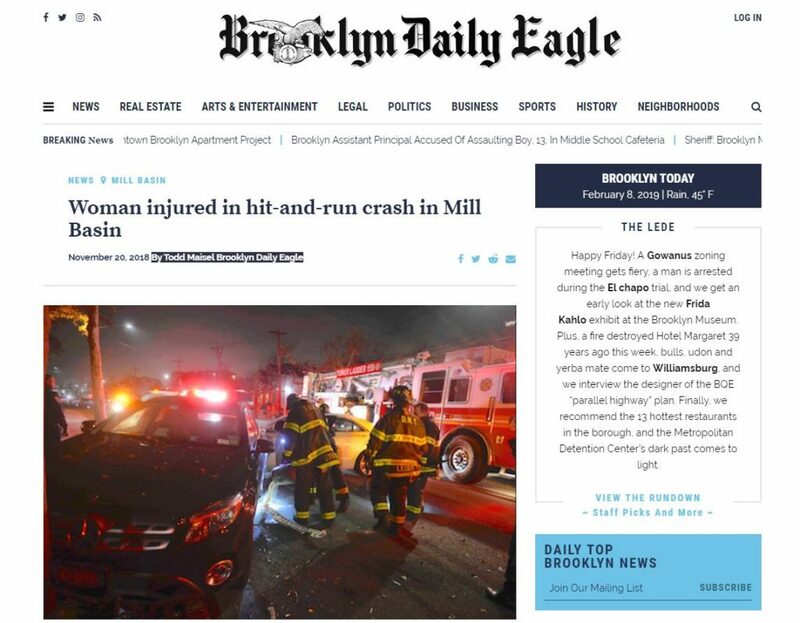 She said she did not remember what kind of vehicle hit her as she drove along Mill Avenue to her home in Mill Basin and she complained of disorientation. Both cars suffered severe damage from the impact. The crash was under investigation by the 63rd Precinct.